Store Owner Was Tired Of Rude Customers So He Put Up This Sign! 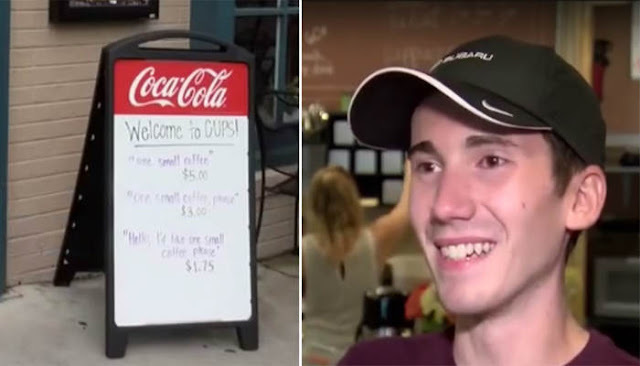 “I decided, because I need to solve all the injustices of the world, to start charging more for people who didn’t take the time to say hello and connect and realize we’re all people behind the counter,” Austin told local news reporters. Just one day after Austin put up the sign, it had gone viral, climbing to the top of popular online forum reddit. It even appeared in a newspaper all the way across the ocean in England. Have a look at the video below to learn more about Austin Simms’ sign!